Batt insulation is most frequently used in unfinished walls, including foundation walls, and in floors or ceilings. Kinzler installers will fit batts between studs, joists, and beams. Kinzler Construction Services has the experts to install your batt insulation. Contact us today at 888-292-2382 to learn more! 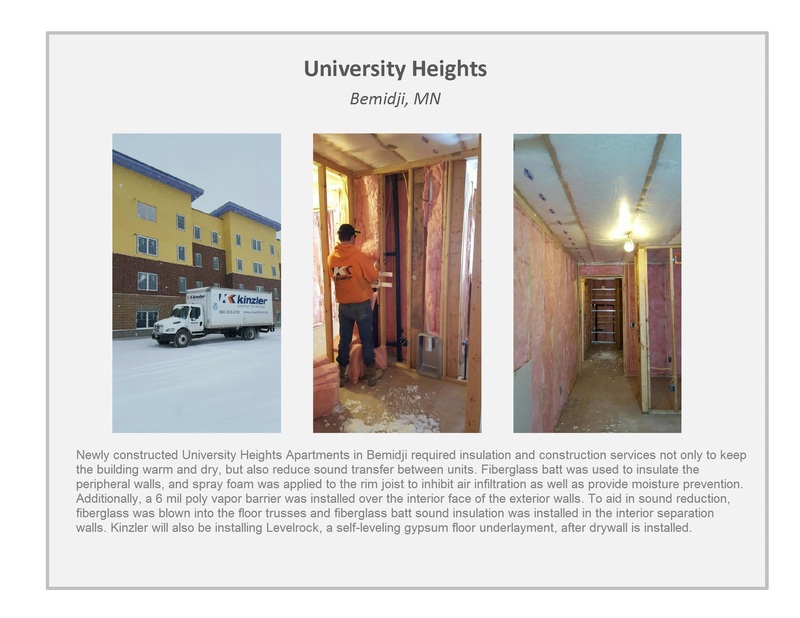 See how Kinzler used fiberglass batt insulation to keep a new apartment building warm and dry - plus reduce sound transfer between units.